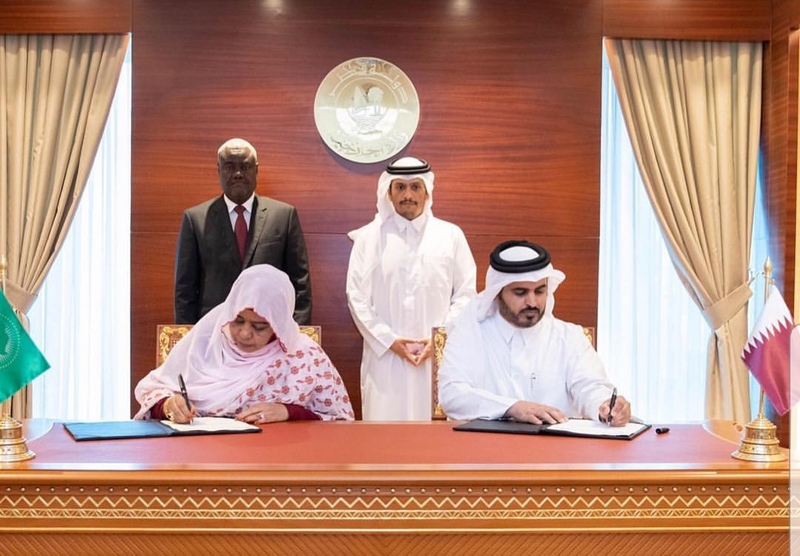 Doha, Qatar , 13th January 2019: The State of Qatar and the African Union Commission (AUC) signed a Memorandum of Understanding for a monetary grant of $20 million that represents the State of Qatar's support towards the reintegration of vulnerable African migrants. The State of Qatar and the AUC established this grant to support the safe reintegration of repatriated migrants in their countries of origin. The two parties through the Qatar Fund for Development (QFFD) also aim to establish partnerships with financial institutions in the targeted countries to design and roll out tailored programmes to support the economic reintegration of repatriated returnees. The agreement aims to promote regional cooperation and partnership by addressing the phenomenon of irregular migration in the Sahel region of Africa. The AUC expresses its appreciation to the State of Qatar for its vital support while also commending Qatar's commitment to address various humanitarian efforts in the Region.